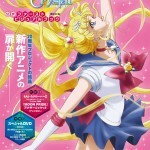 Here’s a look at the box art for the upcoming Sailor Moon Crystal Blu-Ray release! 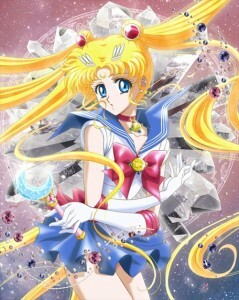 This box art for the first disc was posted to the official Sailor Moon site. 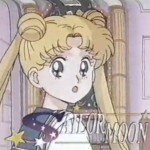 The first DVD and Blu-Ray will only include the first two episodes, Act 1 – Usagi, Sailor Moon and act 2 – Ami, Sailor Mercury and will be released on October 15th. The picture below is of the deluxe limited edition of the Blu-Ray which comes with a special box with classy foil details as well as a full colour booklet and charm. 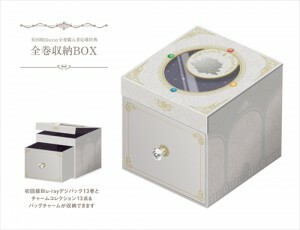 Fans will also be able to get a box to house all of their Blu-Rays and charms if they send in a voucher from all of the 13 releases. This may only work for those living in Japan. 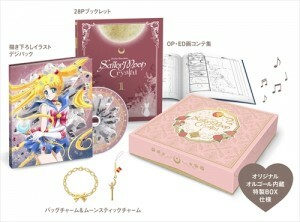 You can pre-order to first volume of the limited edition Blu-Ray from Amazon Japan and CD Japan. Note that the Blu-Ray discs are region A, viewable in Japan and North America, though the DVDs are region 2, not viewable to North American fans without a region free DVD player. Check out our earlier post on the Blu-Rays and DVDs for more information including links to order the disks in other formats and a release schedule. 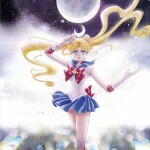 This entry was posted in Merchandise and tagged Blu-Ray, DVD by Adam. Bookmark the permalink.